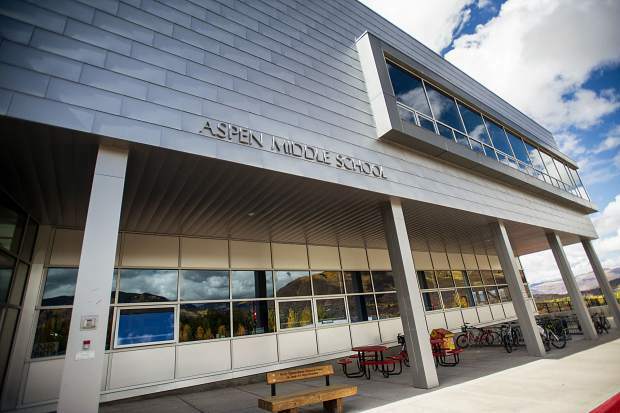 An angry group of parents along with rumors and one-sided newspaper reports have put the Aspen School District’s superintendent in an unfair position the Board of Education has failed to properly address, according to some community members. Speaking at Monday’s Board of Education meeting, two parents, a school district employee, and an outgoing college counselor and her husband claimed Superintendent John Maloy has been wrongly lambasted for his job performance while the board has failed to defend him or publicly address unfounded allegations that recently led to the board’s decision to not renew his contract. “Realize the loudest voice in the room is not always right,” parent Meshell Woodrow said. It was the second regular board meeting held since the Board of Education announced Oct. 25 it would not be renewing Maloy’s contract, which is set to expire June 30, 2021. How the board reached its conclusion is not for public consumption because it met privately about the contract, several times, in executive sessions last month. Maloy has said he plans to honor the terms of the contract, which also allows him school housing for the agreement’s duration. Appleby was referring to the Aspen Parent Action Committee, a movement that formed at the beginning of the school year shortly after The Aspen Times reported in August that the state of Missouri in April disbarred the district’s human resources director, Elizabeth Hodges, who also is serving probation through December for a misdemeanor conviction associated with her stealing from a client when she was an attorney. The parents group started both online and paper petitions calling for the superintendent’s removal. While members of the APAC filled the Board of Education meetings in September and October, there was little evidence of them at Monday’s meeting. The sole one who spoke, Patsy Kurkulis, called for a swift removal of Maloy and Hodges. Part of Kurkulis’ statement was in reference to Maloy’s exit from his superintendent job of Monroe County schools in Indiana, where he resigned in 2006 after complaints about his management style and internal communications. According to the South Bend Tribune of Indiana, the district bought out Maloy’s contract for $421,000. Maloy, who became superintendent of the Aspen schools in March 2010, earned $183,403 for the 2017-18 academic year and is positioned to draw $193,032 for the current academic year, according to his employment contract, which board members Sandra Peirce and Sheila Wills provided to The Aspen Times in December. Part of the contract states the contract can be terminated, without cause, by compensating the superintendent for the remaining portion of his contract if fewer than six months remain. If more than six months of employment remain on the contract, the district could buy out Maloy for half of the amount he would be due for the remainder his contract. While Maloy supporters didn’t refer to Hodge, they came unequivocally to Maloy’s defense. Kathy Klug, who once ran the high school’s college counseling department and currently serves in a consultant capacity, said firing Maloy would show that the board is overreacting to the parent group’s concerns. 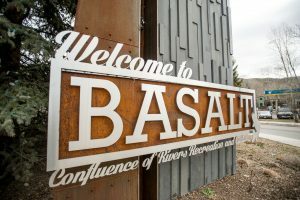 “Does dissent give you a cause to ruin a person’s career and cast aspersions and accusations against leadership that has taken us on steady growth?” she said, noting that other Western Slope school districts now have four-day school weeks while Aspen’s does not, which is because of the sturdy financial leadership of Maloy. “Careless, unsubstantiated opinions demote our institution and our students, and it is irresponsible and demeaning to all of us who have been on a team to grow and advance our educational hopes,” she said. Likewise, Blake Appleby said parents’ allegations of nepotism against Maloy, whose daughter, Megan, is a school district counselor, are unfounded, as well as other accusations. He later held up a copy of the high school newspaper’s report on issues at the school district, declaring it an “impressive piece” with “fair and balanced reporting,” which drew chuckles from the crowd. Appleby also echoed criticism from other Maloy advocates who have complained that those who don’t attend the entire duration of the sometimes four- to five-hour school board meetings aren’t getting the district’s full picture. “How many parents or newspaper members stay for the entire meeting?” he said. Kurkulis countered that not all working people can sit through the entire meetings, which generally start 8 a.m. every other Monday. 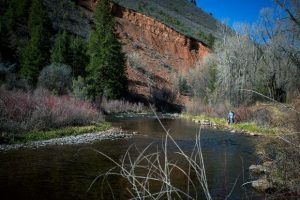 In the upper Roaring Fork Valley, government entities such as the city of Aspen, Pitkin County and Snowmass Village record their meetings, which also are posted on their websites or GrassRoots Community Television’s website. The Aspen School District does not. A narrative that has been circulating among Maloy defenders is that The Aspen Times has tried to influence the board’s decision to not renew the superintendent’s contract through articles as well as a recent web poll question asking readers to weigh in on the issue. That question — “Did the Aspen school board make the right decision in not renewing John Maloy’s contract?” — also has attracted complaints from Maloy supporters. 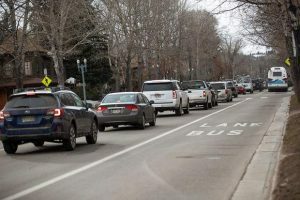 “The survey that was in The Aspen Times appears to be, to me, directed to mislead the vote of the people for the survey,” said Gary Vavra, the school district’s transportation director who has vocally supported Maloy in previous meetings. The unscientific poll generated 643 responses, with 170 replying that Maloy isn’t doing a good job, while the remaining answers pointed in Maloy’s favor — 355 said he is doing a “fine job,” 62 respondents said the district’s problems aren’t Maloy’s fault, and another 56 said the district should reconsider renewing his contract. Vavra said the poll was tilted against Maloy. “My only thought was that the Times was thinking if we spread out the ‘yes’ votes, there has to be more negative votes than there will be positive votes, because I was not allowed to vote on all three lines that I wanted to,” he said. Also during Monday’s meeting, board members Peirce and Susan Marolt said they narrowed the number of finalists down to two third parties that would examine the school district’s culture and climate. The finalists are from Denver and California, and the board, with input from the Aspen Education Associates, which represents school teachers, will determine which one conducts the study next month. Proof of community support for Maloy and the school district is evident because The Flamingo fundraiser, a Nov. 30 event at the St. Regis Aspen hosted by the Aspen Education Foundation, is sold out, Warren Klug said. Wills, who had been board president until the conclusion of Monday’s board meeting, when she was replaced by Dwayne Romero as part of a formal procedure, has declined requests from The Aspen Times to hold in-person interviews with her, Maloy and Romero about issues at the school district. 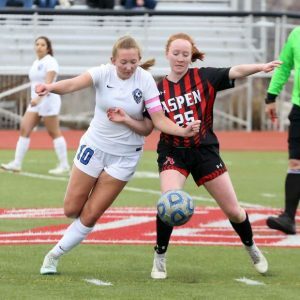 In an email to The Aspen Times earlier this month, Wills has contended that the newspaper’s editors have a “vendetta” against Maloy and the school district, noting she had suggested to Maloy that he not speak to the newspaper.